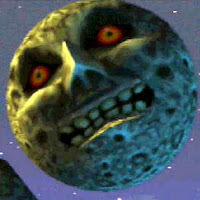 KoopaTV: What's OUR Goodnight Moon? By LUDWIG VON KOOPA - Little Johnny's First Game. The videogame industry is now old enough that kids who grew up on classics like Donkey Kong arcade and Frogger are adults, have started families, and now have kids of their own. One of the simpler mediums are books. The children's book industry has been long-standing, but one of the titles known the world over for your child's first book to read is Goodnight Moon written by Margaret Wise Brown. If we want the videogame industry to have the same respect that the book industry does, then we must have something comparable. Goodnight Moon encourages a lifelong pursuit of reading — what will encourage a lifelong pursuit of gaming? Goodnight Moon is over 60 years old, which is about twice as long as our industry has been around. And kids today still read it. I know when I was a young'n I had a copy on my bookshelf (it's still there). The thing about simple children's picture books is that, by the nature of the medium, they don't become “outdated.” Goodnight Moon is as relevant today as it was back then. It's timeless. There are no hardware incompatibilities with books. Unfortunately, you can't say the same thing about our games. So what timeless game can be the first game for our little kids that they can play 30 years from now and have the same relevance that it does today? First, we need a genre. Games that are licensed Sesame Street or something and/or specifically rated Early Childhood by the ESRB are terrible and shouldn't be considered. We don't want edutainment, we want games that are fun and easily accessible for the sake of it. Which means Donkey Kong Jr. Math and Jessie Go Jr. Remedial Algebra are disqualified. On that note, please don't ever let your kid near the latter, because the characters are foulmouthed. But a platformer seems good. Or a simple turn-based RPG. Meanwhile, the Kirby series has been described as “baby's first platformer.” And that's perfect, right? HAL Laboratory should be congratulated for making games for the children's market that we'll ultimately need for the future. After all, we're not going to give our kids Call of Duty, are we? Unless we want them to grow up to be disgusting anti-social bastards. So it's a good thing that Nintendo loves to constantly rerelease their old hardware-incompatible games for the newest hardware, because otherwise good candidates like Kirby's Adventure wouldn't be accessible. (Kirby's Nightmare in Dreamland, the remake, is probably a better idea.) Super Paper Mario also has very simple platforming and little depth to that platforming. The story would probably go over your kid's head, though. Maybe if you want to promote hatred of literacy, you can tell your kid the textboxes are bad guys (not recommended at ALL). The regular Paper Mario games are not recommended as “baby's first RPG” because there are much better candidates that don't have a concept like “action commands.” Sticker Star, of course, also is a bad idea because... the illogical puzzles are too complicated for OLDER people to figure out. If Pokémon games keep getting rereleased over and over, then those could work. Preferably something closer to FireRed/LeafGreen, which are simple and not ugly to a kid. One issue with Pokémon is that the remakes implement new mechanics, which is wonderful if you're like me and like the new mechanics as they go along, but Pokémon X/Y seem much more complicated than Red/Blue ever were. I also hear that the games in Square Enix's Dragon Quest series have very simple combat mechanics, so those would work, too. Hopefully your kid isn't a graphics snob. 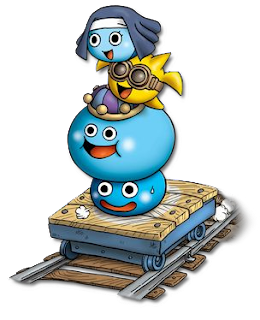 Dragon Quest Heroes: Rocket Slime, while not an RPG, also should be appealing to your toddlers. I mean, the character design is adorable and the mechanics are simple enough. Too bad, I doubt it'll get remade. Ever. Maybe between the Slimes and Kirby, I just like mono-coloured spherical characters with eyes and a smile. And if you're the type of parent who wants to actually be involved with your kid and play multiplayer, I'll recommend Kirby Air Ride. Because you'll enjoy it as much as they do. Perhaps even more. And if it's one of their first games, they won't be like those cynical sneering critics who bash the game for having the main button be brake and not accelerate. Yeah, that's perfect. And again, while it's not remade yet, I bet it eventually will be! (And it'll have online play and be glorious.) By the way, playing games with your kid or watching them play games is the best way for you to be a parent. Engage your kid in the material. Same concept as television-watching. The reason age-appropriate television works and is enduring is because those are focus-tested for every new generation. They have the long eye on sustainability so as kids grow up, new kids will replace them and it'll be appealing. Kids like FUN. I don't want my hypothetical kid to grow up to be a PC elitist. You shouldn't want yours to, either. Kids these days need to be raised right. Our society will truly progress when classics like Kirby's Adventure are looked upon the same way Goodnight Moon is. I'll keep some software and hardware around for that time. Kids are miracles, and Ludwig having a kid would be the biggest miracle of all. But in the unlikely event he won't die a virgin, he'll remember this article and the parenting lessons within. You should too, and offer your comments as to what games you think would be best as a kid's first game experience. It appears that companies are trying to implement this, like Arzest and Yoshi's New Island. Ludwig talks more about good parenting here. Ludwig disagrees with the strawman point about PC games and compatibility issues. According to Hideo Kojima, in the future, books and games will end up as the same medium. The point raised by this article is actually the official stated policy by Nintendo for what the Nintendo 3DS's purpose is. I wonder what will be my child's first game? You should have full control over that.